Hi everyone! It is one of my favorite days of the month! I am a long time Anthropologie fan. I could browse through the store for hours. Oh wait! I HAVE done that. It is so fun to see all the creativity in their displays. Sometimes, they are actually pieces of art. So after all my visits to Anthropologie, I am creating something with my purchases from Lowe’s. 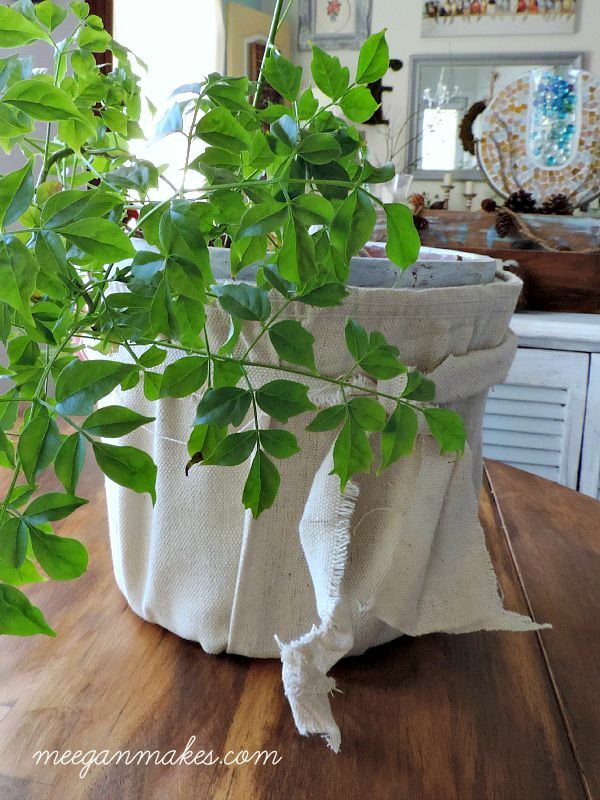 I always see pots covered with drop cloth filled with gorgeous live plants. So, why not make my own right? It’s easy and fun, so let’s get started. 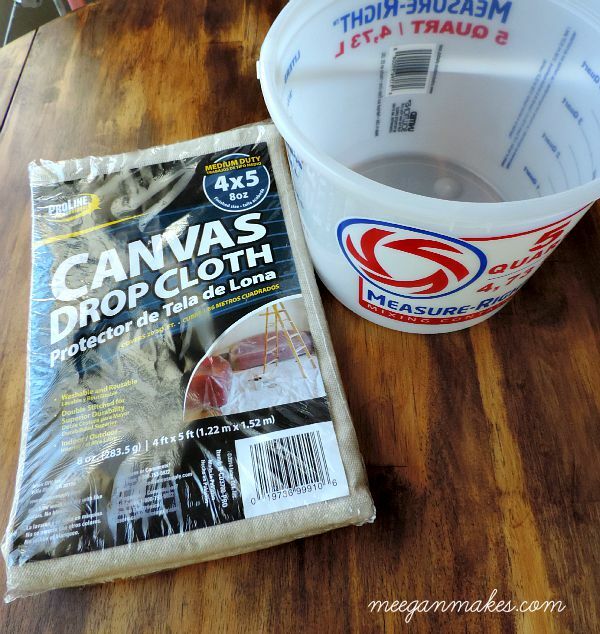 While at Lowe’s I bought a 4×5 drop cloth and a 5 quart bucket. 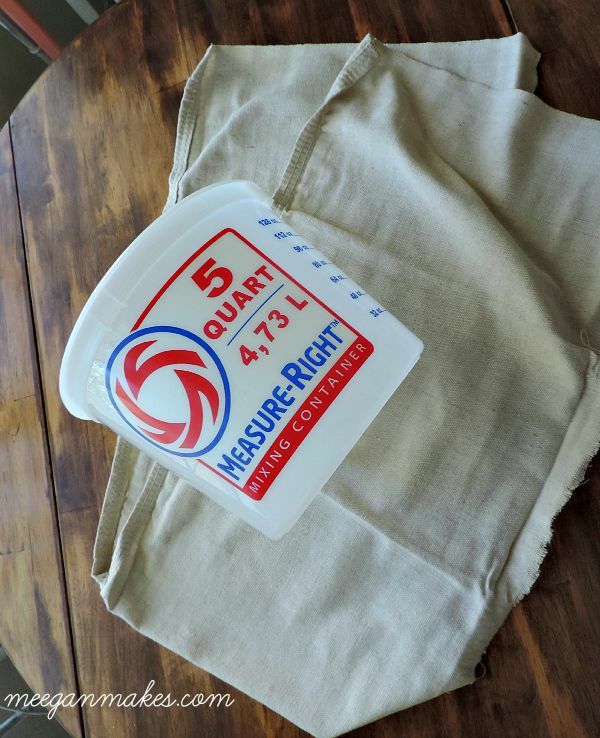 Measuring the width and circumference of the bucket, I cut a strip wide and long enough to cover my bucket TWO times. I did it twice because my drop cloth was thin and you could see the writing. 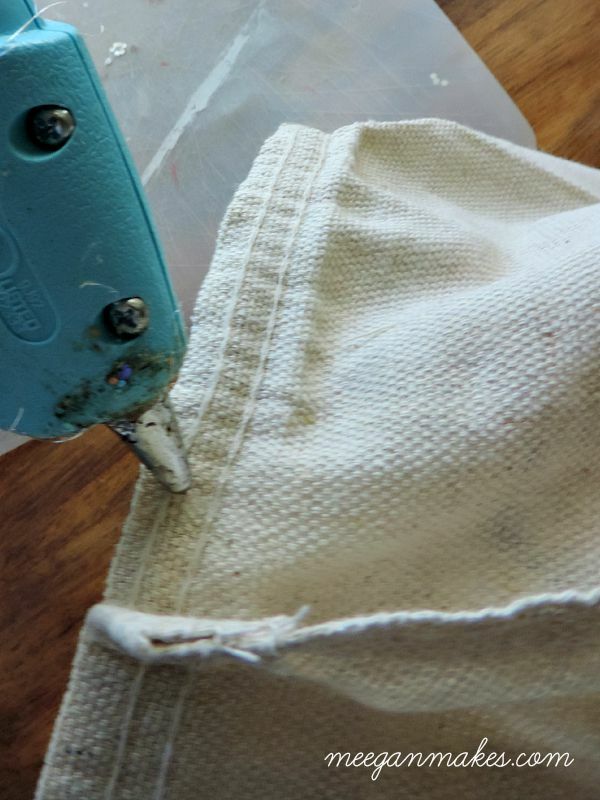 Using my hot glue gun, I glued the hemmed edge to the rim of the bucket. I pulled on the drop cloth tightly, but not too much. After the rim was done, I was ready to work on the bottom. I carefully pleated the drop cloth as I hot glued it to the bottom. 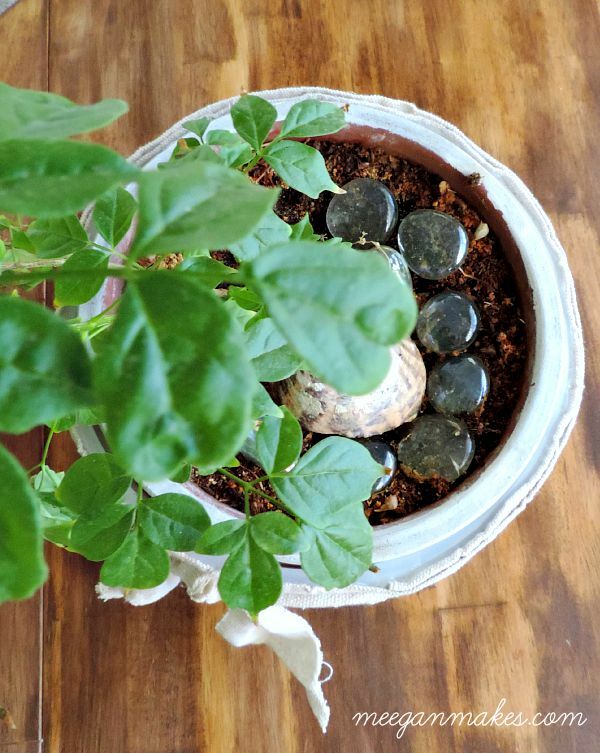 I was careful to keep the bottom level, so when I added my plant it wasn’t tilting to one side or the other. I also liked it a little wrinkly. 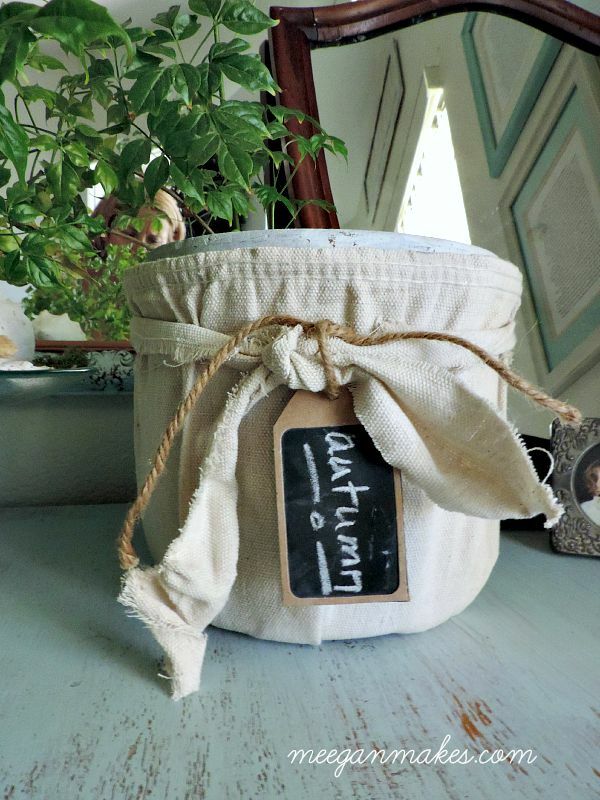 (That’s how the Anthropologie pots looked.) And I personally don’t like perfection. I like things a little messy. 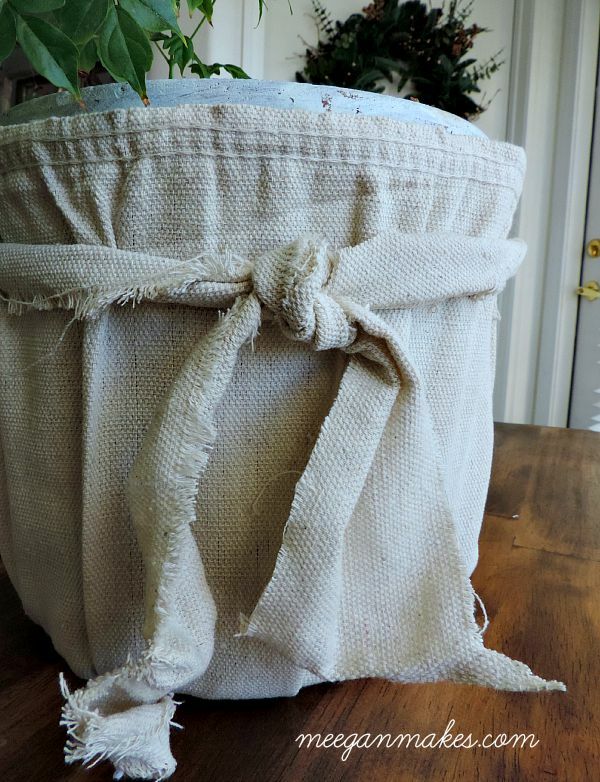 For more interest, I tore a 2 inch wide strip of the drop cloth and tied it around the rim of my new Anthropologie Inspired Flower Pot. I like the frayed edges of the strip around the rim, don’t you? Sometimes adding a little chalkboard tag creates charm. 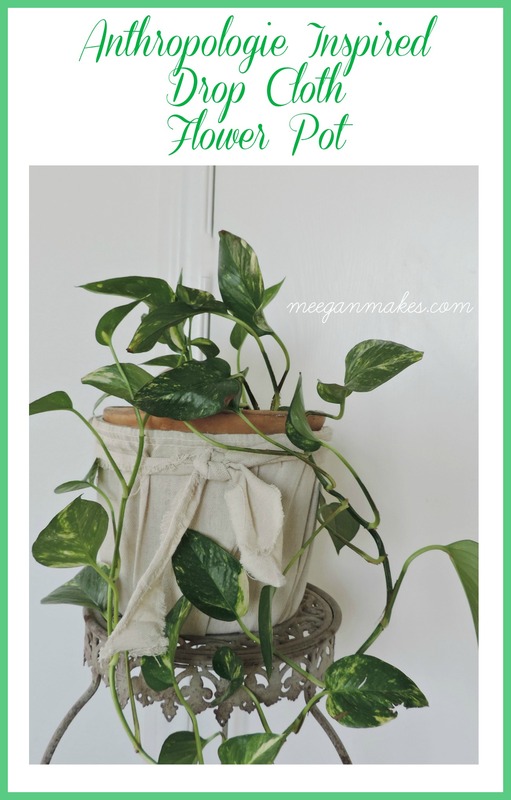 I hope you have been inspired to make your own Anthropologie Inspired Flower Pot. 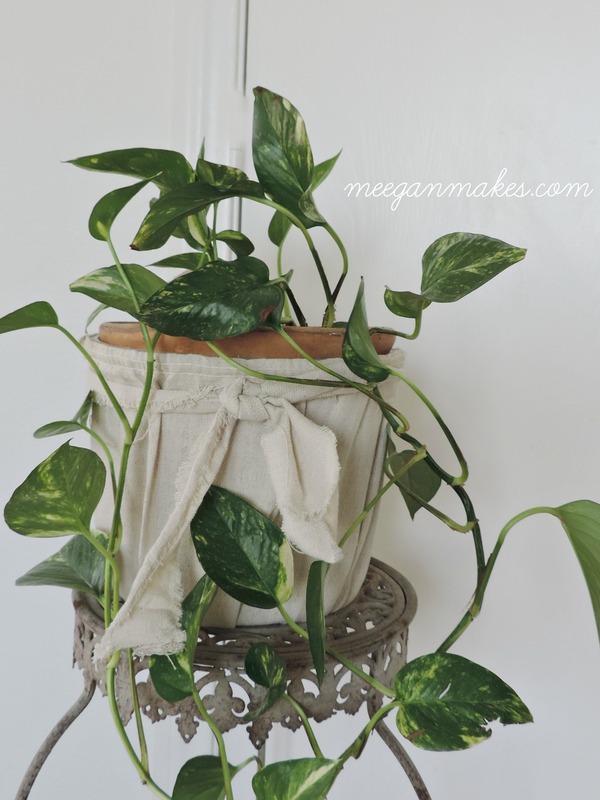 Meegan, I love this project so much and can’t wait to make some of my own! 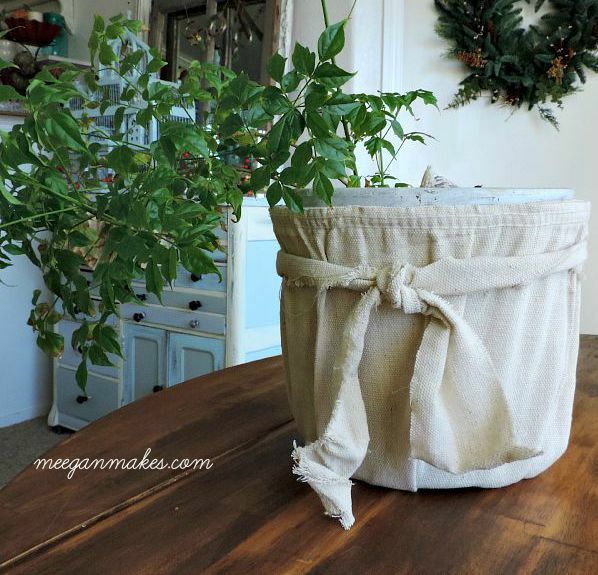 Is a drop cloth ever wrong in home design? I think not. 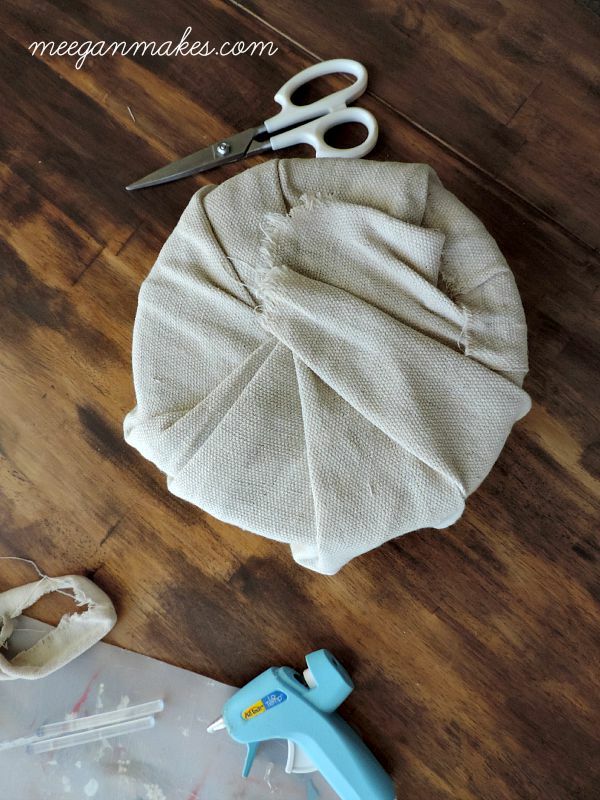 Meegan this is such a cute idea….love using drop clothes and you have certainly used it in such a inspiring way. Adorable! I love this! 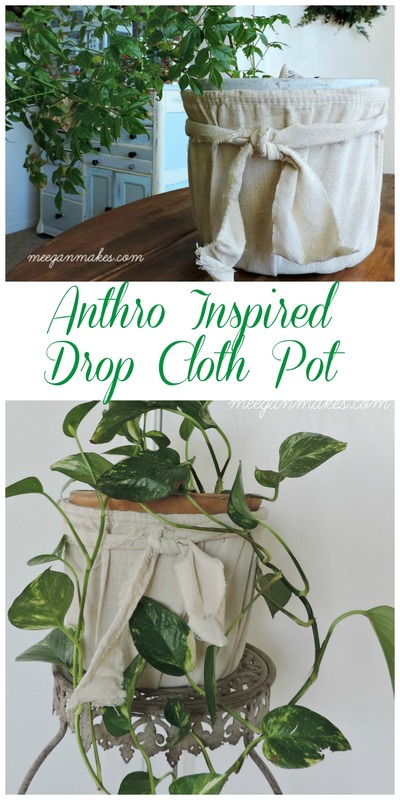 You had me at ‘drop cloth’!! Thanks for sharing. Thanks so much my friend! You are always so sweet! Meegan, this is adorable! Pinning!